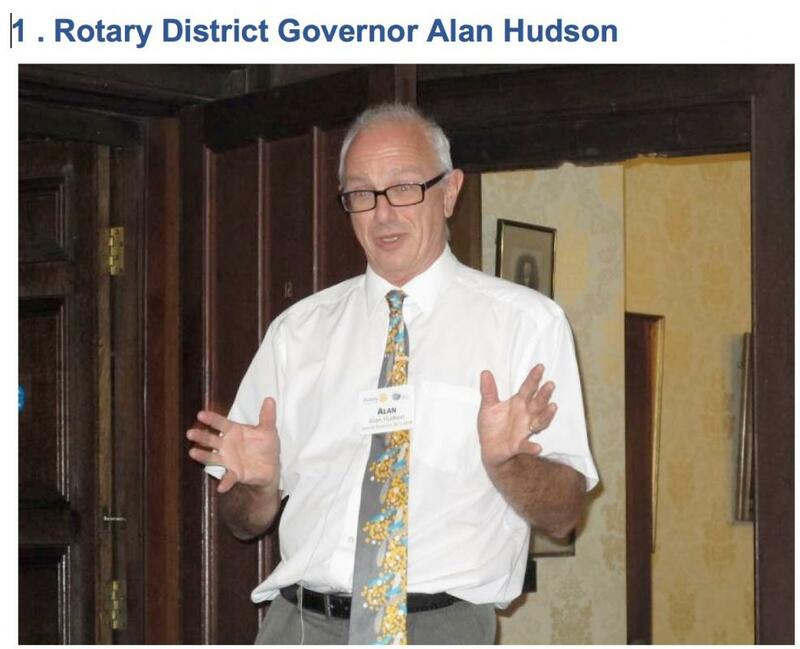 Cirencester Rotary Club was very pleased to welcome the Rotary District Governor Alan Hudson to a recent meeting. 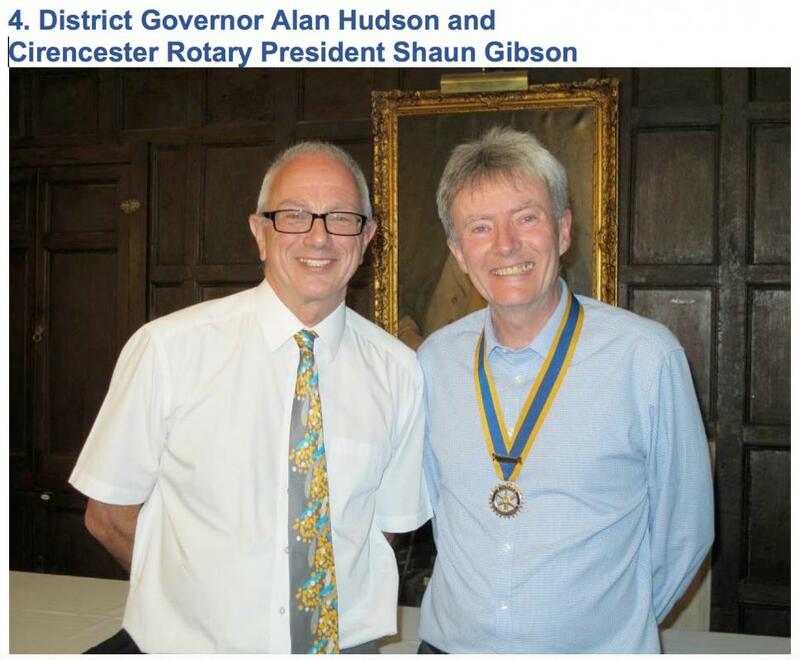 Newly appointed to the role at the beginning of July, this visit was already his twelfth to Clubs in Gloucestershire and adjoining counties so he could have been forgiven for being road-weary. In fact, he gave an energetic and very interesting talk which was interspersed with music tracks which had personal meaning in his life. Music tracks covered a wide range of artistes and styles, from Jimmy Shand, via the Easy Rider film theme, a French band called Deep Forest and ending with the Moody Blues. The ‘guess-the-track’ competition which accompanied the talk was won comprehensively by one of the younger Club members – who colleagues suggested had betrayed evidence of a mis-spent youth. 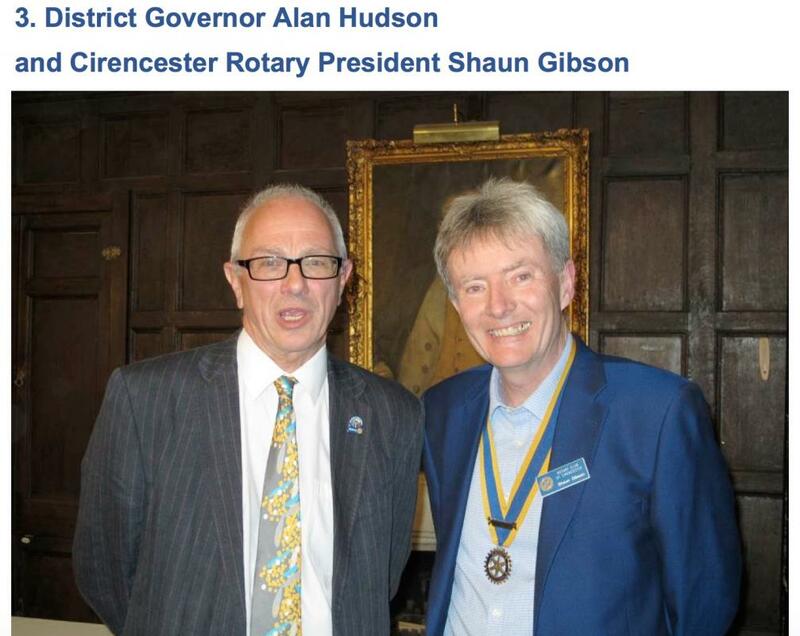 The Governor congratulated the Cirencester Club on maintaining overall membership numbers – at a time when this is proving difficult in many areas - and on their excellent work with local charities, organisations and communities.